We’ve created a unique beginners website course (also a Divi course for those of you that know about Divi!) to help you build your own WordPress website. Whether it’s for a small business, entrepreneur or an aspiring blogger. We can help you achieve your dreams!! After only a few training sessions, you will walk away with a professional WordPress website that you know how to use and manage yourself. Sitting one on one with a trained WordPress expert, designing the website together ensures the client gets what they want. Hence, the perfect solution if you want to take control of your website and ongoing costs. Allowing you to make your own website or redesign an old one! We discuss your website wish list and requirements by phone or email. Including; what type of website you need, how many pages, what type of features you want e.g. shop, events, membership etc. As well as providing you with design options, so you can choose what your website looks like. We provide free resources to help you design a logo [if required] and where to source FREE images from. Saving you money that you can allocate to other areas of your business!! We will work out all the details, so you don’t need to stress about anything. Once this is done, we book you in for the training to build your new website. Who is suitable for this training? Anyone wanting to build their own website for their business. Start-ups or small business with a limited budget. To migrate a current website over to WordPress. A business that wants to re-design their website. of a professional web designer to guide them step by step. Anyone who wants to create WordPress Websites for clients. E.g. A graphic designer or web designer. We use the Divi WordPress theme, so anyone who wants to learn Divi also. We give you the Divi theme for free, which is included in the price of the course. What type of websites can we build in the time we have? Unfortunately, we don’t have time to build complex websites that require coding in this course. We can, however, set up the pages and structure of the website. Which could then be coded later. We do offer coding services, but this would be a separate cost from this course. We have been running this course for several years now, and have learnt from experience, that everyone has different learning abilities and requirements for their websites. Therefore we offer different packages to cover everyone’s needs. 6-10 pages. [unlimited is available]. Basic plugins like; security, backup. FREE Divi theme worth over $100 AUD. This price does not include hosting. Hosting is an extra $160 per year. Includes SSL. 10-20 pages. [unlimited is available]. Customised generic pages like; services, about, contact etc. Setting up more advanced features e.g, shopping cart, events management, membership, SEO. EMAIL for more details about Creating your own Website. What is the aim of this training? Lots of people who are starting a new business or a small business that wants a re-vamp, do not have the budget to pay thousands of dollars to a web developer who they do not even know will do the job correctly. We have taught many students who have paid anywhere from $5000 – $10,000 to a web developer and they haven’t built the website that that was promised. Some students had no access to change things in the WordPress admin, so we had to redesign the website in the training to allow them to make the changes they needed to be able to manage their website ongoing. This cuts out over-priced web developer fees ranging anywhere from $500-$1000 for each change. Get the results you want. Teach you how to manage your own website ongoing. It will also make you more aware of the web design process, which can help prepare you for dealing with web developers in the future. Lastly, this training will help save you money which can be allocated to other areas of your business – like online marketing like Google and Facebook. There is no point in having a website if no one can find it. Once your business grows, then you may be able to afford a web developer to mange your site ongoing. This training will teach you how to create a WordPress website, whether it’s to build your own website or so you can build websites for clients. What can I learn in the training? Downloading and Installing a WordPress theme. Setting up a complex WordPress theme. Modifying a theme with CSS. Building a complex system like; a fitness directory, a travel & tours website, adult content, coaching website, client portal, forums, shopping carts, payment systems and more. Setting up a navigation menu. Searching and installing complex plugins. Everything to create a WordPress website. Will we get my website completed in the course? We will discuss with you before the training what type of website you need. Once we know what you require, we can then decide which training package will be the best for you. From experience in setting up other student’s sites, we usually always have enough time to set up the main structure of the website in the basic website package. Including; the homepage layout, other generic pages like, contact, about, services, blog and add the content to these pages. You will learn all the WordPress basics, so you should be able to go away knowing how to add content like text and images to your new site. If we think your website is more complex, then we will recommend you do the next package up – $1095. This package allows more time for more advanced features of a website. For e.g. like a client portal, membership, events, shop. Where can I get images from? Photodune is great for buying cheap but professional images to add to your website’s page or posts. Click the image to view. This is an ad. You can buy professional logos from Graphic River and they are well priced. Logos starting from $30 USA. Graphic River also supplies logos, fonts, icons and info-graphics. Where can I get a logo from? When creating a Website, you should have a professional logo and images. Images and fonts are a very important part of making the website look good! We have listed a few sites that we use and recommend for buying images and logos. You can buy professional logos from Graphic River. Check out our list of free images. Where can I buy themes from? The DIVI theme is our favourite. We use this for many clients and students website because it has amazing backend features and it’s very easy to use once shown how. Click on the image below to take you there. Theme Forest also has amazing WordPress themes. Avada is another very good WordPress theme. You can search for all different types of categories inside Theme Forest. If you don’t have one we can supply one. Wifi is supplied (make sure your computer connects to wifi). Pen and paper to write notes. Any content – e.g. Text in a Word document and images on a USB. Any logins for e.g. Hosting logins, Domain logins or WordPress login (if applicable). You may bring water and snacks. There is a cafe in the building. Think about the goal of your website before you come to the training (if applicable). Most importantly, what the user needs from your website. What pages to display in the top navigation, so the user can find your core business easily. How you want to layout the website and any other features you require. For e.g. Testimonials, social media, blog, videos etc. You will need to bring a logo if you are setting up from scratch. If you don’t have a logo we can get our graphic designer to create one for you. Logo Prices range from $200-$300. Otherwise, there are some great websites out there to help you. Think about what pages you want to set up. If you have some content for the pages. Bring the text in a Word doc. so we can copy into your website. You can easily add more pages after the training once we show you how. Bring any images you have ready. We can show you how to make them web friendly to add to your site. A blog is very important. It helps bring traffic to your site. want to bring some content to add to your blog. If not you can add this later – as we will show you how. Industry related information and/or advice. Or just general chit chat about your business. Bring anything else you want to add to your website. Your WordPress login – username and password. Your FTP login – hostname, username and password. CPANEL or your hosting login including the website URL. PLEASE TEST these LOGINS FIRST. (Very important to save wasting time). A domain name is the business or website name. We prefer you to purchase this in your name for security reasons. You will need to add personal details including your ABN. Click here to set up your ABN if you do not have one. Or any other websites you prefer (it doesn’t really matter where you buy the domain from). Approximately $15-$30 for com.au for 2 years. You shouldn’t pay any more than this. You may need to send us the login details so we can set that up (if applicable). If you are setting up a new website, you will need both domain and hosting. We can do this for you if you want – just ask. If you buy your own or already have your own hosting you will need to bring all the login details to the training. We use 2 Australian companies. Anti Spam / Anti Virus Email Address. To purchase hosting go to one of the following companies. We can buy the hosting for you if you do not feel comfortable doing so. Just let us know. We use Quadra a lot, so are very confident using this company. Click on the link below and purchase the WEB VALUE package. Then send us the login details including the username and password. Click on the image below to purchase the hosting. Then send the details to us, so we can set up your account before the training. What's the next step after the course? After completing this course – what should I do next to promote my website? Building a website is one thing but getting visitors to your site can be more complex. You need to work on your online marketing to get traffic and the right type of visitors to your website. We can offer you a further 2-hour training session [$220] to help you get your website found on Google and Bing on the first page. Building up your web presence in the search engines is a process that doesn’t happen straight away. The website is the first step to online presence, the second step is marketing it. 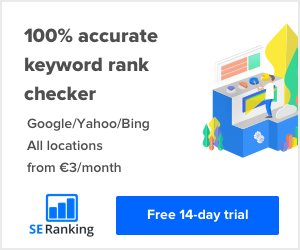 You can market via paid advertising or build up your site’s reputation and authority with some organic (free) search engine optimisation (SEO). Obviously, with a startup or small business, you might not have a big budget for paid advertising. I would recommend learning some basic SEO (search engine optimisation) to get you started. You can learn some simple techniques to help your website list on Google organically. Then once you have the budget start a few advertising campaigns with Google, Bing or Facebook. Having both an organic Google listing and Google ads can really boost your online presence and bring more traffic to your website. If you want to find out more about our SEO Training – email [email protected]. Click here for more information about the SEO Training. We require full payment upfront before the training. We can split the payments into 2 invoices if required. But the first invoice must be paid before your first training session. Then the second invoice must be paid before your second session. What do we get for our money? A comprehensive WordPress Ebook. A premium WordPress theme – Divi [for free]. Divi is valued over $100 including several professional templates. A qualified Web Designer. Support via Skype share screen. Hours of expert training & guidance. Can we see some reviews? Yes, you can. Please click on the link to view our Google reviews or onsite reviews. We require at least 5-7 days to book in your training. Payment must be made before the session starts. All clients and students will be invoiced once a course has been chosen. Payment is by bank transfer. In special cases we accept PayPal. Is there after course support? We provide a free 60 minute Skype session after your training. We also offer after course support at affordable rates for people who book this course to help them build and maintain their website ongoing. What are the training times? This will vary depending on which package you choose. View our packages for more information. We usually break up the training into 2-3 hour sessions. Can I do this on the weekend? Yes. We do offer this course on a Saturday. It will cost an extra $100. I can not recommend her too highly. I’m sure you will enjoy working with her as much as I have. Click here to read more Google reviews. Please check your junk box if you haven’t heard from us within 24 hours.